I always thought Pewter was a stone – Very wrong. Pewter is a type of metal, like silver or gold. 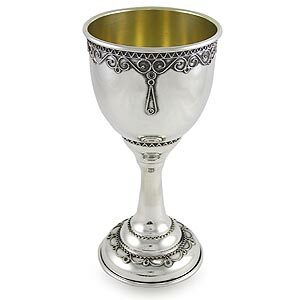 Famous for having a huge variety of tankards, hip flasks and other drinking vessels made from it – Pewter provides a tarnish free alternative to traditional metals. The Variety of Pewter antiques and Collectables is largely substantial and always fun to take some time out and look at. They are all usually well marked with date stamps and make a great collectable item, because you can use them to drink or eat from – as pewter items do not tarnish – making them long lasting antiques. 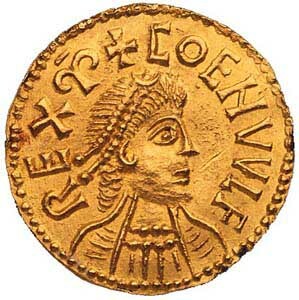 There are a lot of collectable items made out of metal and brass is a popular one in the uk. There are allsorts of things made from the shiny gold like material, from brass medals to brass candlesticks there are great brass collectables to be had! 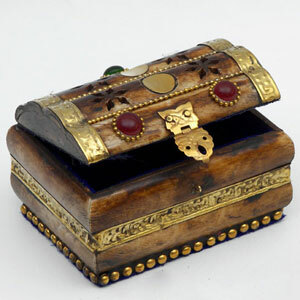 For example this photo shows a great brass clad jewellery box. A lovely example of a brass collectable available on Collectables now! Today Collectables-Now welcomes a new type of metal collectable item, namely the Aluminium Collectable. Usually seen in forms of ornate aluminium trays and tableware, aluminium is both light and reasonably cheap to collect, making it a favourite for several people. You can collect almost any type of aluminium item, from dish’s to vanity items to trays – even down to famous and limited edition aluminium cans! If you think Aluminium might be the metal for you check out our Aluminium Collectables Section now!